There was simply no explanation as to why the lady at the South Africa High Commission in Nairobi seemed to take pride in hindering the progress of processing my work permit. “Look, the company needs to tell us why they’re hiring outside of South Africa”, she said curtly, for the umpteenth time, when I’d asked what the hold up was and why I was still in Kenya two months after being headhunted to be a News Anchor in Johannesburg. “They’re specifically looking for Foreign Correspondents”, I said equally curtly. I’d run out of courtesy and patience. As far as people knew, I’d begun my new life in South Africa in June of 2009. This was August and I was waiting out the process at my parents home in Mombasa. I’d resigned from KTN, I had said my goodbyes but…here I was! So I’d occasionally take a trip to Nairobi to push, but was always met with rudeness or nonchalance. By September, I’d run out of patience. Whereas the High Commissioner usually steers clear of Home Affairs issues, because I’d visited him on occasion during my work at KTN, and he’d even invited me for a courtesy call when he heard I’d be moving to SA, I walked into the building, looked for him and explained what was going on. He was dumbfounded to learn that I was still haggling for my permit because he thought I’d already left Nairobi! You want to know what the funny part is? I got my permit two days after that. Yup! He made a call and realized there was an unnecessary hold up with my documents. Someone was stalling the process! By the time I got my permit, packed, and landed in Johannesburg on the 9th of September, I was jaded, tired and already over it! The bureaucracy had drained me. So began a series of dark moments when my permit issues would persist, even when I was already in SA. The initial permit is usually valid for one year, after which it’s meant to be renewed so that the company can give a longer contract. Again, should have been easy enough! Instead, right after I was privileged enough to cover the World Cup in 2010, my permit woes had me lining up weeks later outside the Home Affairs building in Johannesburg at 5 am, in 10 degree weather. For days on end and for no apparent reason. I triple-checked my documents, everything was in order, but there was always someone out of the office or this, that and the other and I’d have to go back to my place and wake up a few days later to start the whole process again to a point where my permit expired and I had to head home for a few weeks while I applied for a temporary one. It was during those dark moments that I began to second guess my decision to move countries. The job was great though; I got on really well with my bosses and colleagues, plus I’d found a haven in my one bedroom apartment which was in a great neighborhood not too far from work. Everything else was great except the status of my permit. I would withdraw from people and couldn’t do much because if I attempted to make any banking transactions or anything that required my passport, the system would pick that there was a discrepancy with my permit. I wallowed, I was upset, I was homesick. I took to reading and writing to clear my thoughts and fight my insecurities. But I struggled with accepting my situation. I had to believe that my being in limbo was happening for a reason but I struggled with that too. I told myself that out of the darkness would come light, that this would be a lesson of sorts someday. By beginning of 2011, having become a pro at securing temporary permits, I felt like I was ready for change again. Incidentally, after running into the same Commissioner who helped me in Kenya and had since moved back to SA, I was introduced to and met with the Head of Permits himself, at his offices in Pretoria. A pleasant man who had just been appointed. He shook his head and said, “Can you believe I have to approve thousands of permits? The former Head of Permits was just sitting on them. Like he didn’t want all of you here! I’m very sorry,” he finished, and I just stood there in shock. According to him, there was no reason that me and thousands of other people were not being granted work permits. He went on to confirm that a lot of us waiting on our permits were legit, which made the situation all the more ridiculous! It was as preposterous as it was offensive. But this man, and I wish I could remember his name, was kind and concerned. He stamped a 5 year work permit in my passport…yes, FIVE YEARS! I took the permit to work and was given a 5 year contract. After all the hustling, I’d hit a home run! But then…I was done. Something inside me had shifted; I was tired, disappointed, embarrassed, frustrated…I was jaded. It all just seemed too little too late. Shortly after, I handed in my resignation. I was longing to return home, where I would never need to chase permits. Where I would belong and build myself. My bosses were understanding about it all. While I knew I would miss some of the amazing people I’d met while at work in SA, I needed to do this for me. The 2013 Kenya elections were on my mind and I figured it was best to make a move early, and it was a smart move because shortly after returning home in July of 2011, I would seek out Farida again and ask to join Royal Media Services. In hindsight, I had learned myself more, become a more resilient individual and made a mark as the first Kenyan Anchor on e News Africa. I was beginning to appreciate the dark moments, albeit over time. 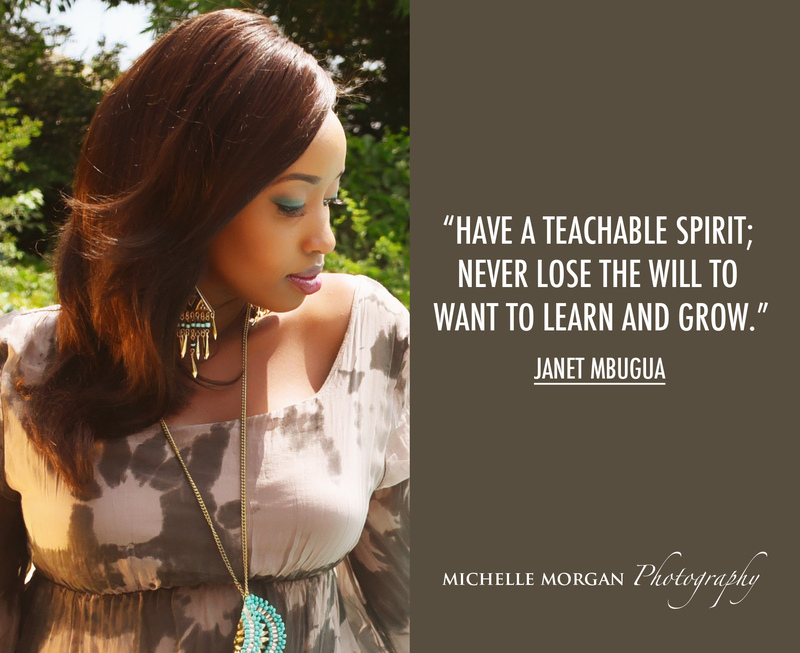 In time, darkness makes way for light..
Great Piece Janet.You are my role model.I admire your courage.You are a beautiful en got Brains.Keep going gal…. Very Inspiring, all i needed! very inspiring, just what i needed. What an amazing piece Janet! You just don’t know how huge your journey stories inspire us! May God continue giving you the strength and persistence in this journey. Even in the darkness, find yourself! How true that statement is. I started a new position in a brand new place a month after I buried my dad and boy was it the darkest time in my life with all the transition combined with grief. A year and a half later, I can say that I have found myself and dangerously at that. Darkness will do that to you,if you don’t stay there. When you rise, nothing seems impossible! I seem to have this new found sense of self, ironically, I can now see myself as my dad who was my biggest cheerleader, saw me. I feel unstoppable! Thanks for taking us along on your journey. I wish you knew how touching and inspiring your posts are Janet. You have opened my eyes Janet. U inspire me so much. Wish could meet you one on one. Awesome Janet writing. Following on your milestones. Wow an inspiring story to me. Had lost hope securing a job but now I believe more than ever its time to persevere and push. You are such an inspiration to many..keep on keeping on gal. “Something in me had shifted,was embarrased,disappointed…frustrated…” I totally relate with your words Janet.My work experience in Tanzania left me tired and complately frustrated. I just packed and left for home. Now am ready to work again. Working in foreign countries aint a walk in the patk. This is quite something.You are simply amazing Janet. Nice piece of literature and a good inspiration to the young Turks. The organization that I worked with back in 2014 suddenly closed down just 4 months into a new 5 year *funding/operating cycle…you know just I was settling in. With a brand new baby (yes I said that, okay 9 months old), I was devastated! Little did I know that it was the best thing that could have happened to me! Thanks for sharing your story Janet! Waoh am soo inspired. It’s never too late..
Wow this is so inspiring… To be able to push through tough times and obstacles.. You are truly an inspiration. Godspeed in your endeavors. Am a huge fan. Inspiring you did soo much at an age we all thought we were discovering ourself….looking back i realise i had the potential to do more….its never too late i believe. Waar… Janet, and to think how during that time when you moved back to Kenya how there were so many stories surrounding the move and people saying all sorts of things. To see how you pushed through amidst all the challenges and difficulties I am glad to see how you have stayed on course and following your heart’s desires through God’s grace. All the best! Wow! Such an inspiring story. Am inlove with your milestones! Wow that was quite the journey to Citizen. It’s very inspiring how hardworking you have been. wow, just wow. you’ve fought hard for it. Inspiring indeed. So beautifully written Janet. Always an inspiration. Been following your blog..Am new in the world of professionalism,still figuring out my stands in this career world..this is a really good piece too me..from how you started to where you are now. It gives me the drive to do the same to my career side of life too.Thanks Janet!! omg! off many excellent pieces you have penned , this got me so hooked and in the moment . I cannot wait for the next piece.